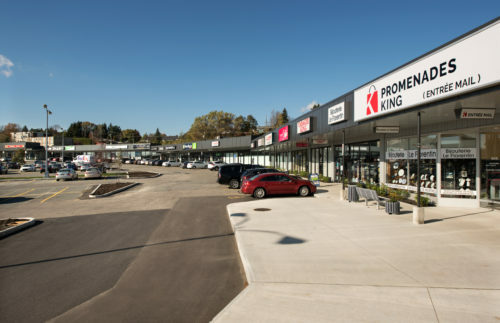 The Promenades King are located on the north side of King Street West between Lomas and Farwell Streets. 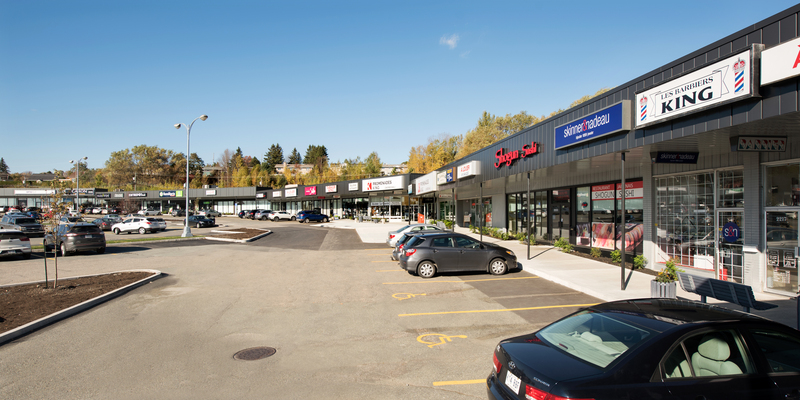 The Promenades King overlook King Street West and propose a diverse commercial offering. Traffic light facilitating direct access to the site from both east and west. Large free parking of more than 500 places. Major renovations have been made in recent months. The Promenades King are approximately 150,000 square feet in size. 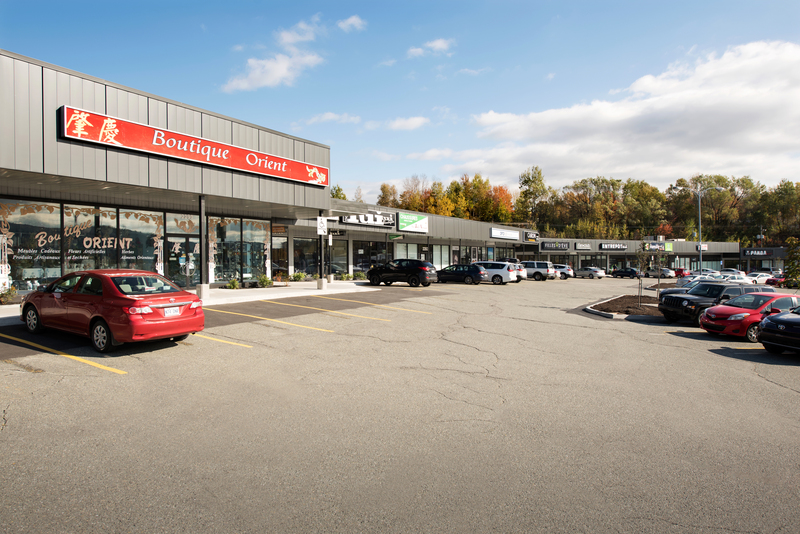 Nearly 40 boutiques, shop services and professional offices. Direct access to shops on the covered promenade. 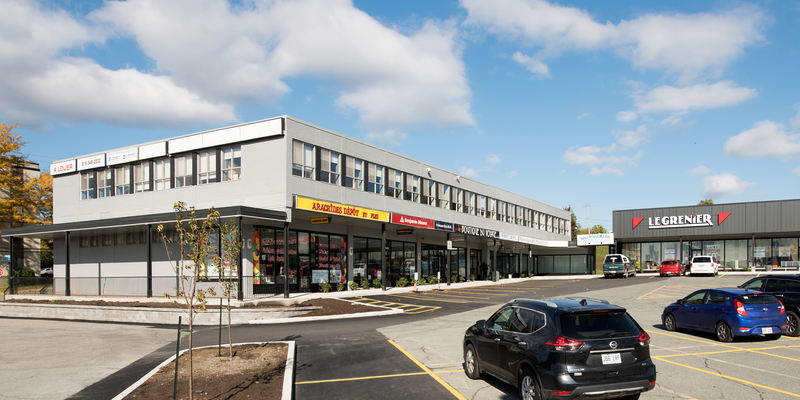 Ideal premises for shops or offices. This section located on the shopping center west side has a beautiful brightness.